Atomide has launched two new packeges for TreatBall! The new Twin Packege has a tempting 4-coloured label and it includes two TreatBalls. Suggested retail price is $ 6.95 and minimum order is 24 units. The new Single Packege comes in a bulk of 100 hundred TreatBalls with a mouth tag. Mouth tag includes barcode and the web site address for the instructions. Suggested retail price is $ 3.95. Dog Fancy Magazine selects TreatBall as one of the Editor's Choice 2000 products! 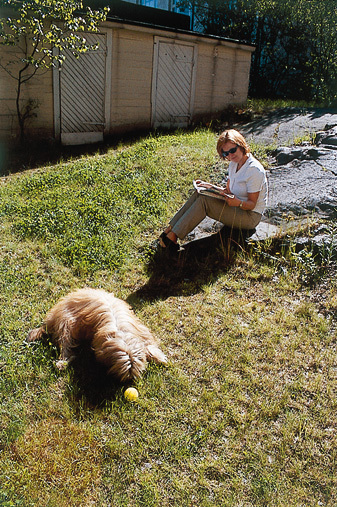 Following is a quote from December 2000 issue of DogFancy magazine: "So simple. The TreatBall is quiet, convenient, and rewarding." 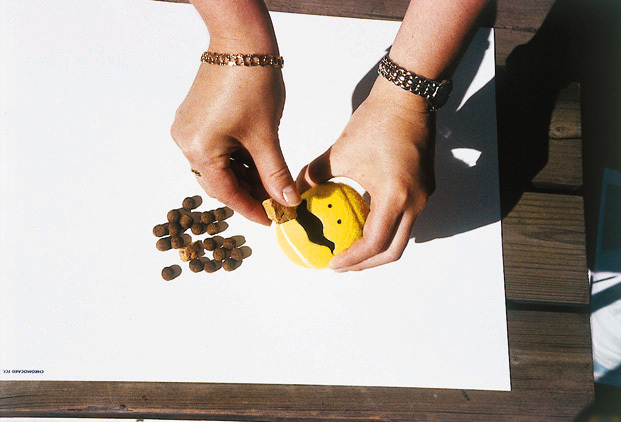 "One Tricky Tennis Ball- When one editor gave the Atomide TreatBall to her Cocker Spanies, they played with it for days. Part of the trend of treat-dispensing toys, TreatBall is a hollow tennis ball with a slit along one side that allows treats to be put inside. When the ball is squeezed, the slit opens and treats spill out. 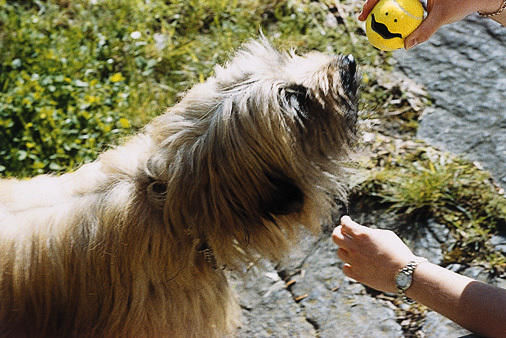 It sounds easy, but a dog has to squeeze the ball just right to get the food. 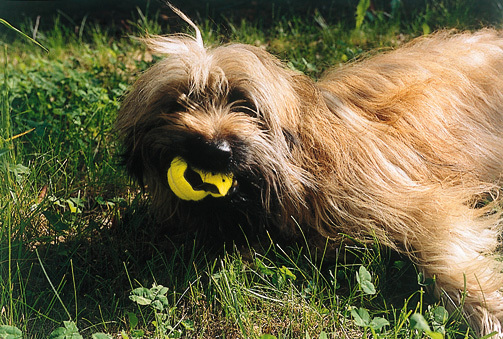 TreatBall is not for heavy chewers or large breeds that may decide to take a shortcut by ripping the ball apart. Remember to wash the old treats off the toy between uses..."
TreatBall Patents number US5965182 & USD0424256 was granted on summer 1999.